ItemI-46744 - Ernest J. Bangs, and family, Fire Valley. ItemG-02070 - Klondikers with supplies near rocks at Dyea, Alaska. ItemF-09913 - Zeballos Gold Rush, Foreground - Airplane "Fairchild" - Ginger Coote, pilot; Middle "Ballanca" Ballentine, Gordon pilot, background unidentified. ItemF-08428 - Honourable Francis Jones Barnard residence, "Duvals" on Rockland Avenue, Victoria, BC. ItemD-05914 - Residence of Edgar Crow Baker, "Sissinghurst". ItemD-05897 - Edgar Crow Baker. ItemD-06014 - Native fisherman with dip net, fishing for Salmon. 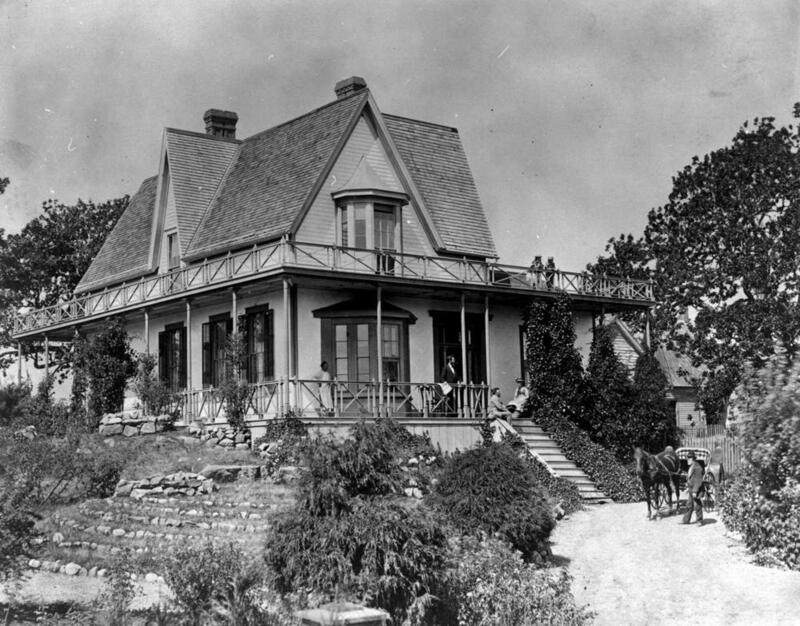 Item F-08428 - Honourable Francis Jones Barnard residence, "Duvals" on Rockland Avenue, Victoria, BC. Honourable Francis Jones Barnard residence, "Duvals" on Rockland Avenue, Victoria, BC.